The Rainforest Rapids Amusement Park is an ultimate combo jumper! 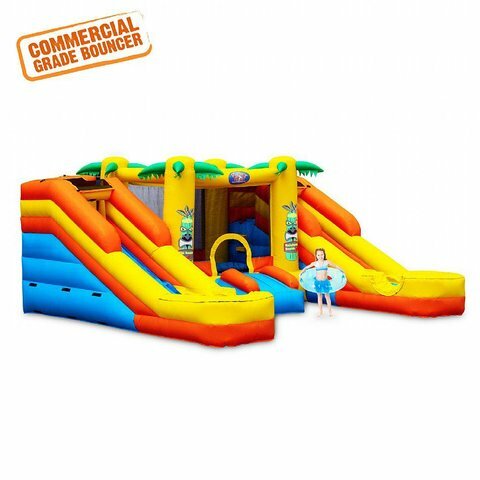 The centerpiece of this party jungle is the Zulu bouncer, an 8x8 Jumping Paradise. Climb the cliffs of Zulu to enter either of mega slides, and escape into the Tiki Lagoon. Sprayers rain down from above both of the dual slides, creating the rapids.